I wrote the first draft of my first novel in a desperate, feverish five weeks. Then spent a year revising it. I'd always intended for this to be a literary novel, as if Stanley Elkin had translated Italo Calvino's homage to Kafka, and I think some of that rings true yet. But this book is nothing more, really, than a love song to San Francisco, the city where I live and which still enchants. "A stately, moving first novel. Buzbee's impressive new voice does something besides toot its own horn: it offers an update on a classic urban vision." Fliegelman walked the granite canyons that held his city. The day stuffed its hands in its pockets and pulled up a collar against the rain and wind. Things were like that. He had wandered downtown from his apartment outside the shopping district, and as the numbers of the avenues decreased, he discovered that the shops grew more urgent and opulent. Below Fifth Avenue the shops sported gilt decor on their facades, worn like military medals on aging generals; the weight of the gilt was so heavy that the buildings snapped to under the burden, standing sharp and straight. Through the brightly lit store windows Fliegelman noticed that the shoppers stole glances at the day outside. Looking up from their purchases, they were waiting for a better moment. It was in one of these lower shops, a large emporium on Second, that Fliegelman saw his desire. He stopped in front of the window, beside himself, and looked hard to make sure he was seeing what he saw. 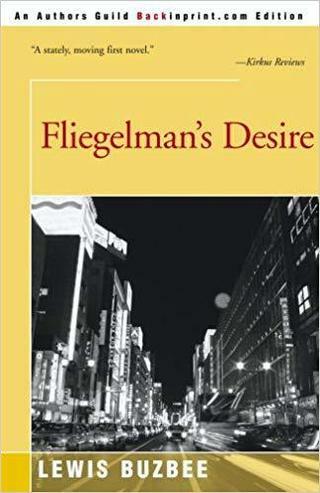 Sometimes Fliegelman saw his desire in unexpected places, only to discover that he was mistaken—he'd spotted somebody else's desire or was duped by a trick of mirrors—but this was indeed his desire, standing in this shop trying on clothes. It had been who knows how long since he'd seen his desire. He had heard from mutual friends about his desire—his desire had a new job, looked great, seemed happy if you know what they meant—but what they told him was suspiciously vague, and he thought maybe his friends were just being kind to him.